I’ve endured some horrendous presentations. Many of them done by me. There I am, standing in front of a room of peers or an audience of complete strangers and I see glistening tears. And I know that the water pooling in eye corners is not a result of any emotion other than boredom or possibly that physical reaction we get when we desperately try to stifle a yawn. Either way, it’s not a good situation. 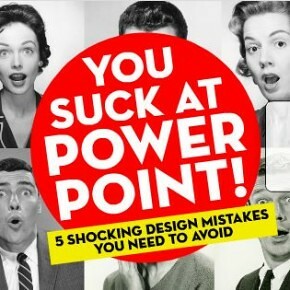 I actually remember reading a post by Jeff Utecht about presentations (you can find it here). I read it as I prepped for a session at the AASSA conference that we hosted at Graded in Sao Paulo back in Feb. Not even a year ago. A presentation that I thought might be acceptable by Jeff’s standards. I am cringing as I look at it now. Jeff actually links to Presentation Zen info but clearly I was too rushed to follow it and now, as I have just having finished the presentation zen video, all I can think of when I re-live my disaster is NOISE NOISE NOISE… OK, the moments when I included my cats will stay, but the absolute and total abuse of canva.com is making me consider some kind of support programme. If you think you need to see it…. Even though I know that I really tried to reduce the volume on my slides I think I created too much distraction with the use of the cartoon like images. There were some slides that I think were needed as the session wasn’t purely a presentation, but still the old “less is more” could be applied. And that includes the old adage “transitions in presentations are dumb”. So what do I do next? Instead of re-working this presentation (read: starting it over!) I will look at potential presentations that I have coming up and see if I can be more Zen like. I am heading to a Math Conference in Portland next week and I might need to present on my return – if I do, I’ll post it. Otherwise I am involved in a learning cohort at Graded and we will be sharing out on our findings at Innovate 2015. Perhaps I’ll have a crack with Reynold’s advice on that one. I actually thought that you did a pretty good job with your presentation. Not overly text heavy (unlike mine) and you used some fun and interesting images (Who can resist cats – come on!) I know our readings urge against using animations to start each slide but I could imagine them tying in neatly with the talk that would go with your presentation. I think it’s all part of the learning process. At least you know how to use all these tools – I’m barely functional when it comes to canva.com. Practice and usage is what helps us eventually determine what works and what doesn’t – and that obviously includes making some mistakes. Ange, I love reading your posts and the sense of humour that emerges. Your comment “This looks nothing like a plate of sushi” made me laugh. Good luck at the conference! Hope to have a google hangout soon and catch up.